We are excited to have been nominated for the Liebster award by the beautiful and sweet, Brit from threaddiction. 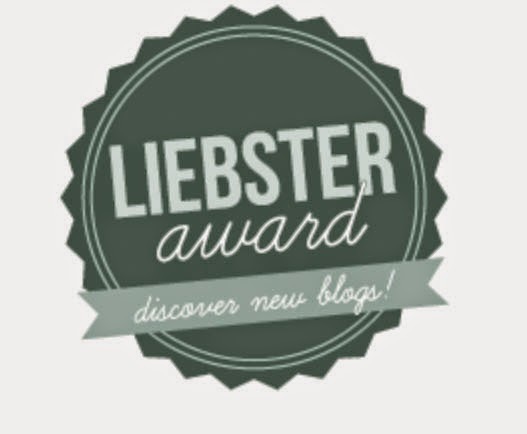 The Liebster Award is given to NEW fashion bloggers (under 1,000 followers) as a way to support fellow bloggers and find new ones as well. Once nominated, you answer 11 questions. They can be the same 11 questions as the blogger before you answered, all new questions, or a combination of new and old. THEN, you pick 11 new bloggers to pass the love along! 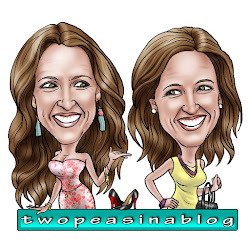 We spent countless hours following fashion and lifestyle blogs and then discussing what we found. Or out shopping, we'd call each other to share what we purchased. We had this wild idea to get creative and challenge ourselves to put our love of fashion into a blog. It has been so much fun!! 2. What does your favorite outfit right now consist of? Katey: Distressed skinny jeans, flowy blouses or peplum hemmed shirts, open toe booties, and gold accessories. I'm craving spring attire! Betsy: Distressed skinny jeans (same as Katey), booties and a great statement necklace! 3. What is one thing in your closet that you can't live without? Katey: Chambray shirt! There are endless ways to wear it. Betsy: Distressed denim. I love how jeans can be dressed up or down with simple accessories! 4. What is your favorite beauty product? 5. What is your go to Starbucks order? 6. Do your prefer silver or gold jewelry? Katey: My wedding ring is platinum but I wear more gold accessories lately. 7. How do you unwind after a long day? Katey: Red Wine! And hanging with the family! Betsy: Afternoon coffee and family time watching Impractical Jokers! That show is so funny, and a good laugh will cure anything!. 8. What is one song/artist on your playlist that you're embarressed by but will not delete? Katey: One Direction. I'm taking my daughter to see them this summer - not sure who's more excited!! Betsy: Justin Bieber, I love is old songs! 9. You're going to a dinner party tonight, what are you taking? Katey: Sausage stars - my husband's favorite and always a big hit! Betsy: Buffalo Chicken Dip, Yum! 10. What is one fashion item you are currently craving?